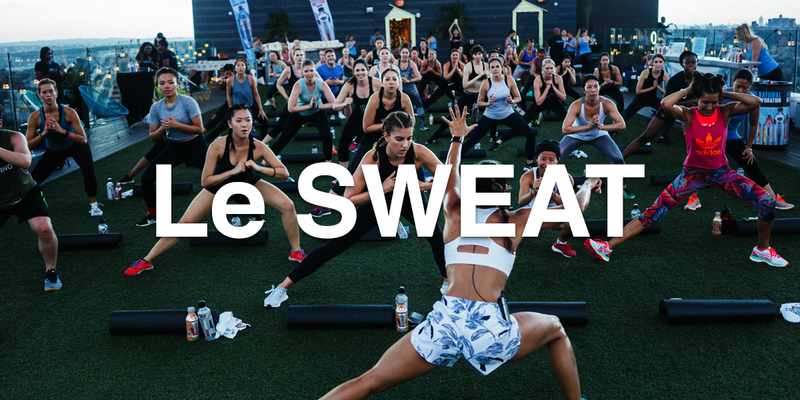 Le SWEAT is a community intent on making fitness accessible, attainable, and approachable by bringing other like-minded le sweat-ers together. Meet our community! Come break le sweat with us! Bring Le Sweat and Le Stretch to your social circles. Join us on the perfect vacation: fitness + travel. Show off your le sweaty style with one of our shirts.